The Android 8.0 Oreo update was released last month, but so far only a handful of devices have received the update. In the meantime, companies like HTC, Sony and Nokia confirmed which of their devices will be updated to the latest version of Android. Today, Motorola joins that list of companies, with the Android 8.0 Oreo update confirmed for several devices across its line-up. 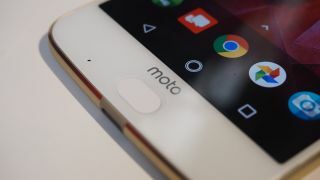 The Lenovo-owned company won’t be updating the Moto G4 series and older generation Moto X series devices. For a brief recap, the Moto G4 series was launched last year with Android 6.0 Marshmallow. Motorola has rolled out the Android 7.0 Nougat update for these devices earlier this year. Motorola will be updated a total of 10 devices across the Moto Z, Moto X and the Moto G series to Android 8.0 Oreo. Motorola says that it will start rolling out the Android 8.0 Oreo update for its devices starting from fall, which begins later this month. To recall, the Android 8.0 Oreo update brings several improvements and features, ranging from power efficiency to user interface enhancements. One of the major new additions to Oreo is Background Limits, which prevents rogue apps from abusing the location permission hundreds of times every hour. Another important new feature is Picture in Picture mode that allows users to an app in a full window with another app in a small window. The Oreo update also brings Autofill APIs that let you enter usernames and passwords using password managers in a much more efficient manner.